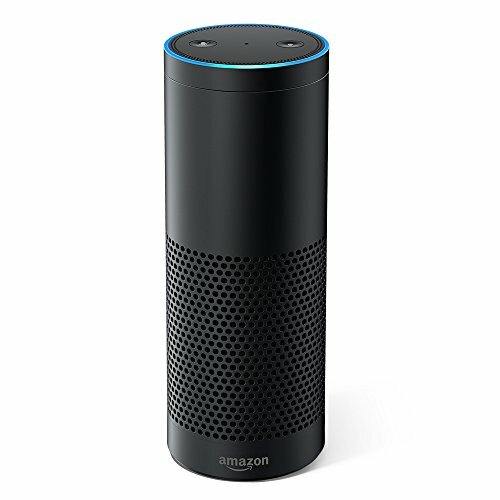 In this post I will tell you how to set up a KNX Alexa speech recognition with openHAB 2. You do not have to pay a lot of money like for other KNX products. I will tell you what you need and how to set it up step by step. 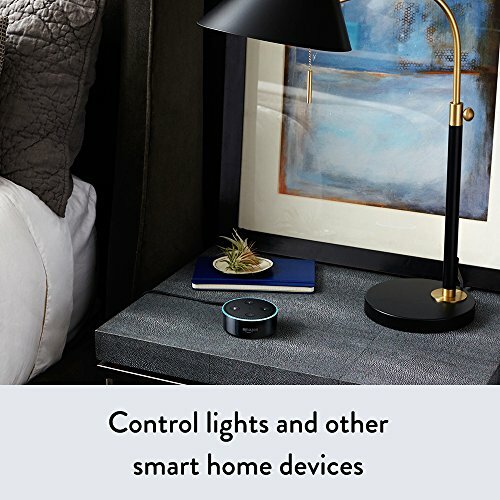 You no KNX but a different smart home technology? That is no problem with the Hue Emulation Service you may control or your Z-Wave, Homematic and Zigbee Stuff. First of all you should follow my post about how to set up a openHAB 2 server. You will find an instruction how to get it running on Windows in the same post. If you pick preferred hardware like a Raspberry Pi you should directly read how to Set Up openHAB 2 on a Raspberry Pi. Of course you will need a KNX installation in your home. If you are lucky and have KNX, you should check if you have a KNX IP Interface or Router installed. If so, you only need to get your IP configuration of the KNX device. I will tell you later in the post how to do that. You should choose a rooter, if you wan to access your KNX bus with more than one Server. If only openHAB 2 connects to your KNX bus, a IP Interface is all you need. I have made good experience with the following KNX Router. 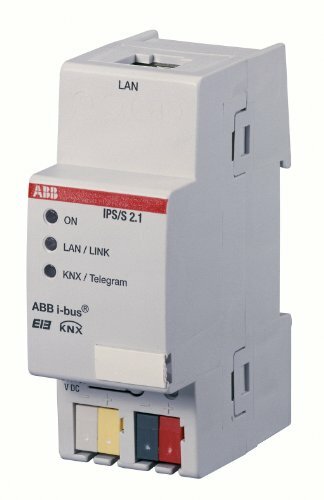 If you are not familiar with ETS and programming KNX components, you will need an electrician to install the gateway in your home. 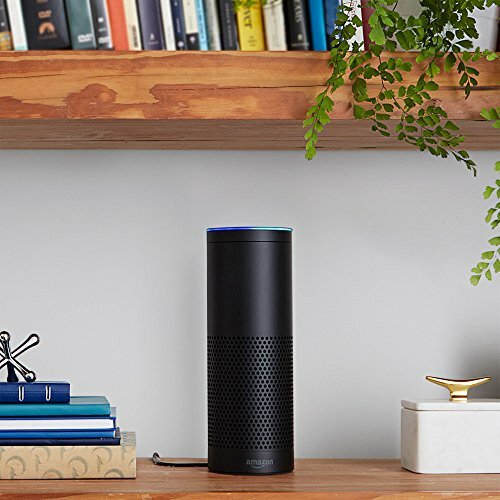 The next gadget you will need is an Amazon Echo Dot or an Amazon Echo. You not need the big version, if you do not want to play music a lot. 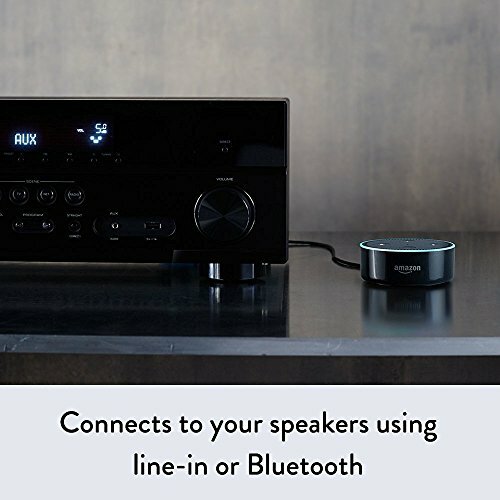 Even if you pick the dot you may connect via Bluetooth or audio jack to your HiFi Equipment. 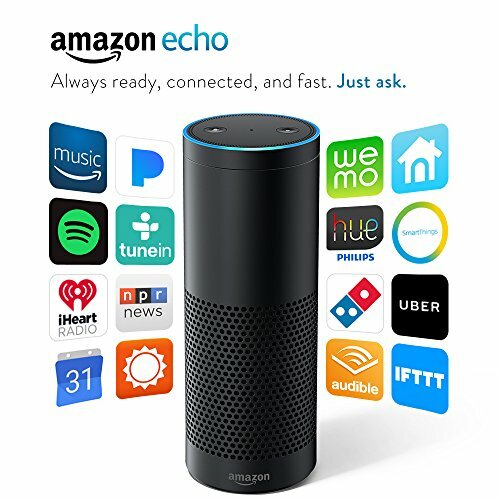 Connect your Amazon Echo to your network and follow the Set-Up Instruction of the Alexa App. After setting up the needed hardware and the basic installation of openHAB 2 you are ready to go with your configuration. As mentioned above you will need the correct parameter in your KNX IP Gateway or get the data from there if you already own a KNX IP Gateway. 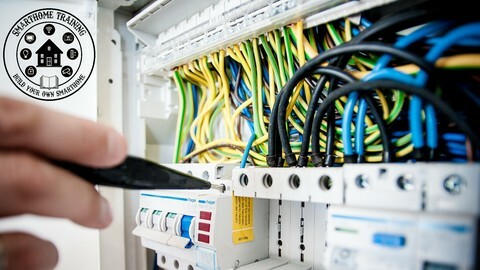 If you own a gateway, ask you electrician to send you the configuration of your gateway. Tell him you need the IP Address he configured in your IP Gateway. If you do not have a gateway you can tell your electrician what kind of configuration he should do. The images down below might differ a bit, because I have an old ABB IPR/S2.1 Router. But it is out of stock most of the time. 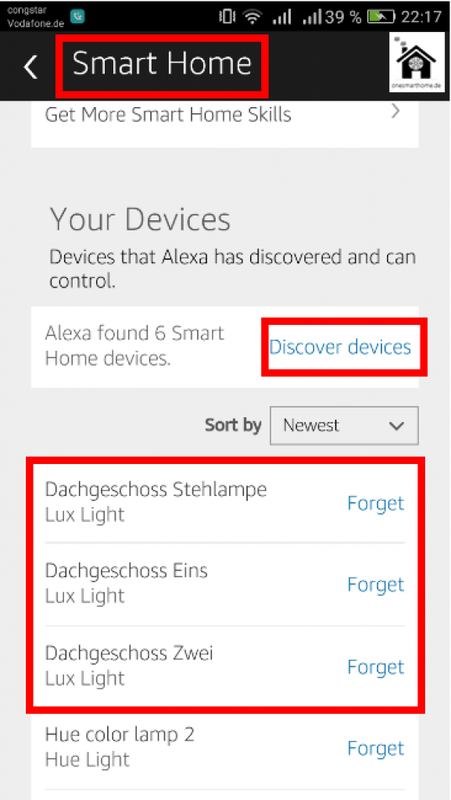 So pick your device for example from the recommendations above. No you should go to IP address (1). Choose a unique good to remember IP address for your KNX IP Device (2) e.g. 192.168.5.111 . Put in a Subnet Mask. That should typically be 255.255.255.0 (3). 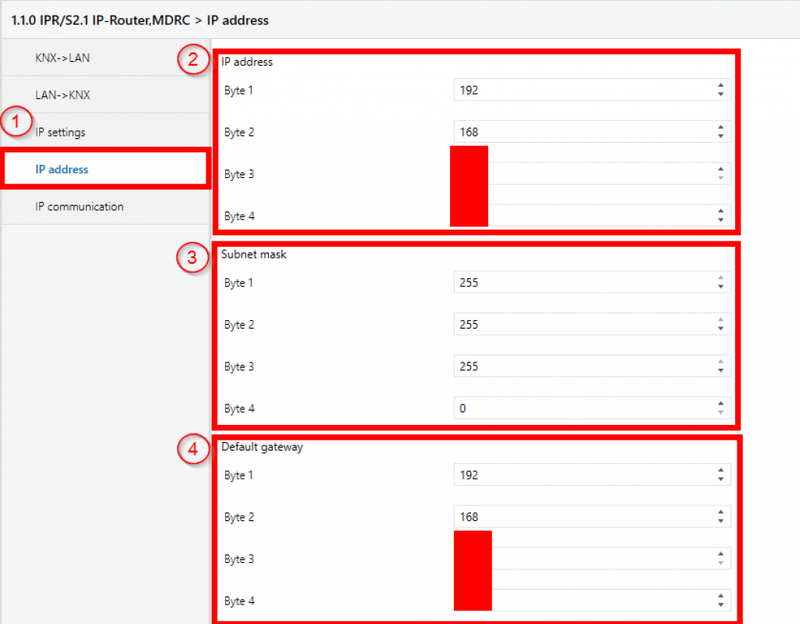 The last Address (Standard Gateway) will be filled with your Router IP (3) e.g. 192.168.5.1. Now you will have to connect your KNX IP Gateway to openHAB 2. First of all go to the PaperUI into the Add Ons. Replace <openHAB_IP> with the IP of your openHAB 2 device. Scroll down and you will find the KNX Binding (ignore the rectangle around Hue Binding). Click Install on the right side. After the installation was successful, the item should show a blue circle in front of the binding and the INSTALL will change to UNINSTALL. If you use Windows, simply go to your configuration folder within the Smart Home Designer and open the services folder. 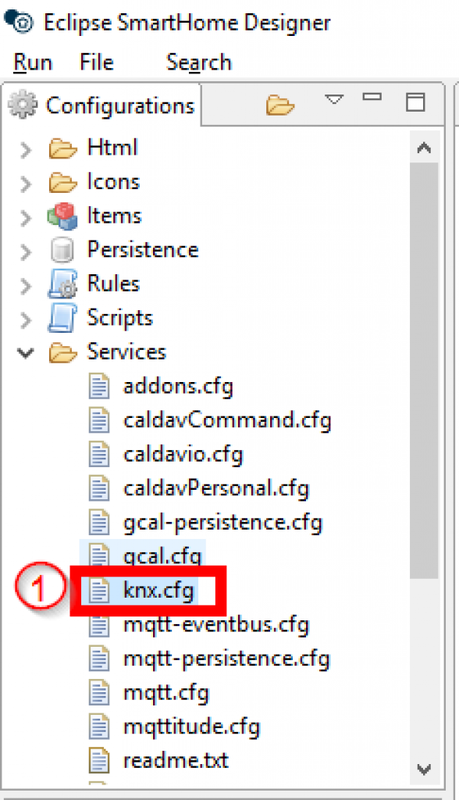 Double Click on knx.cfg to open the file. 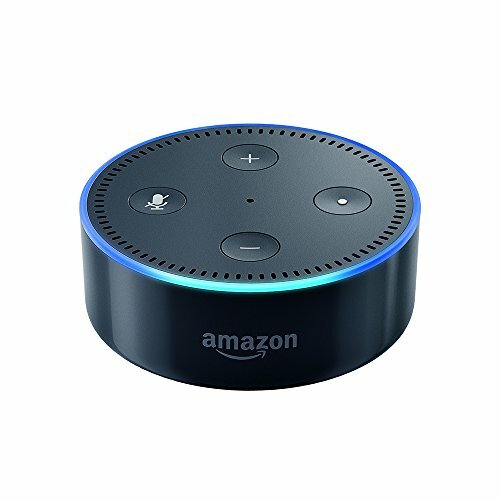 Now you have to change some lines to connect openHAB 2 to your KNX Bus. Some guys mentioned, that it should work with simply changing the connection type to type=ROUTER. If you are using openHABian you will have to change an additional line . The Local IP (<openHAB_IP>) will be replaced by your openHAB 2 device IP. So this is only optional, if you do not use openHABian leave the line as is. Call your Addons again (1). Goto Misc (2) and Install (3) the Hue Emulation Service. After you have installed the Hue Emulation Service in openHAB 2 go to. Click the tab IO. You should see a box wit Hue Emulation. Click Configure and now you have to choose “Pairing Enabled”. Do not forget to SAVE. 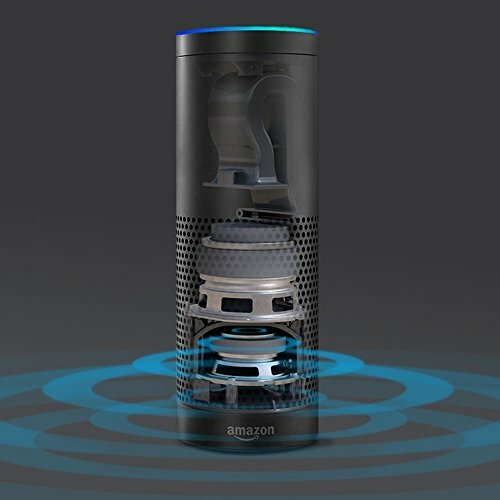 Now you have to configure your items to control your KNX installation by speech. We will pick two simple items. A Switch (on/off) and a Dimmer (Percentage Value, On/Off). The simple Tag [ "Lighting” ] will now lead to recognition in the Hue Emulation Service. Save your .items file. 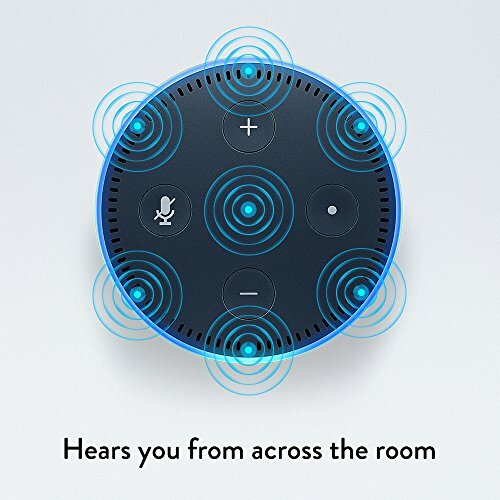 Now tell say “Alexa, discover devices”. 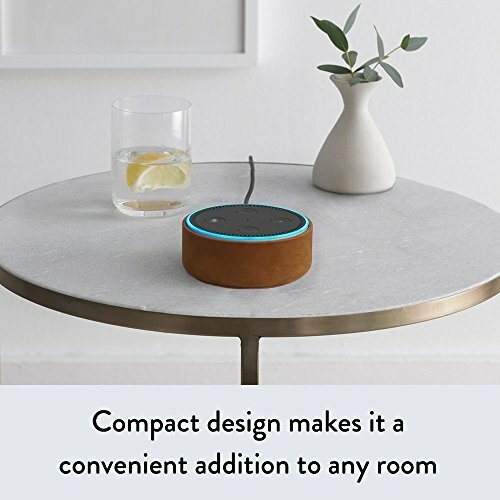 It should identify the two new items. 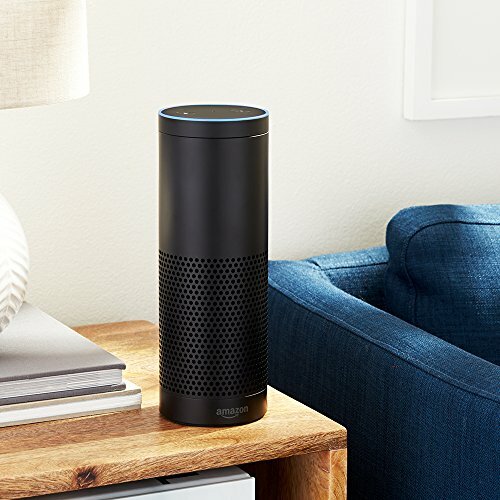 You could also use the Alexa app. 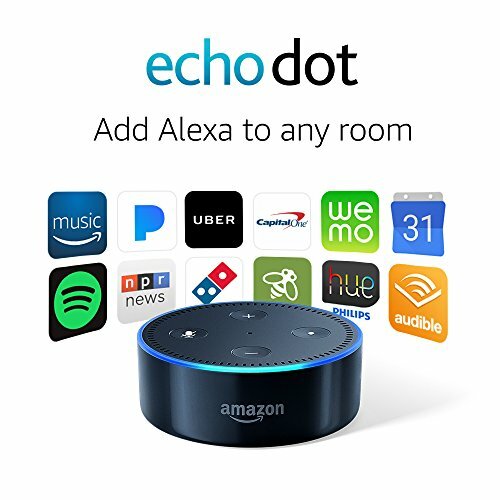 Goto Smart Home and click Discover Devices. Here is one Example, how it should look with your items. If nothing is discovered, double check your Settings in the Hue Emulation Service by calling this address in your browser.